One Momma Saving Money: E.T. The Extra-Terrestrial - Anniversary Edition (Blu-ray + DVD + Digital Copy + UltraViolet only $6.99!!! E.T. 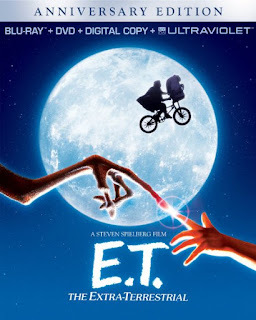 The Extra-Terrestrial - Anniversary Edition (Blu-ray + DVD + Digital Copy + UltraViolet only $6.99!!! This is a classic and must own! I love ET! Right now score E.T. The Extra-Terrestrial - Anniversary Edition (Blu-ray + DVD + Digital Copy + UltraViolet) at Amazon for $6.99 & FREE Shipping on orders over $49.